Let's not forget Dad this Father's Day! He may be the quiet one who says he doesn't care about gifts, but that doesn't mean we should overlook him on this special day. Dads are sometimes hard to buy for, but choose something just for him and you are sure to put a big smile on his face. Bloomex wants to help make things easy by putting together some awesome ideas for Dad that are sure to please at every price range. You can also check out some "man-friendly" flowers to let Dad know you are thinking of him...there is no reason Dad's can't enjoy some beautiful blue and white flowers, a thoughtful card, or a growing green plant. Here are a few of our top gift choices for Dad, but be sure to check out all the Father's Day gift ideas at the Bloomex site! Who says guys don't enjoy a bit of pampering too? Treat Dad to this manly gift basket full of products to keep him looking and feeling great. Yum! 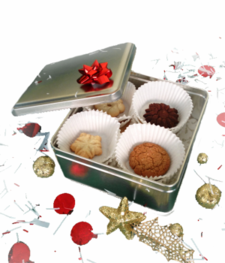 Dad will love these delectable homemade gourmet cookies, baked fresh daily with no preservatives. Available in four delicious varieties! 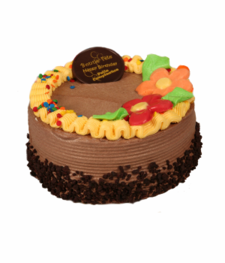 Save yourself the baking, or treat Dad if you are not there in person, with a delicious homemade gourmet cake to celebrate his special day. A decadent treat baked just for him! Available in five scrumptious flavours! 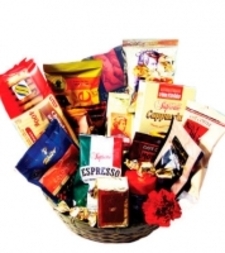 Choose from a variety of gift baskets specially selected for the coffee lover. Dad will love this array of gourmet treats with a variety of coffees to sample and savour. 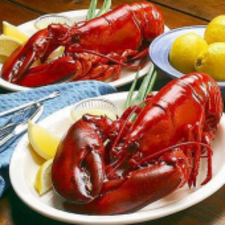 Yes, Bloomex provides delectable, top-quality lobster! All lobster is freshly caught off the Canadian Atlantic, expertly cooked in the shell, flash frozen and delivered directly from our Halifax facility right to Dad's doorstep. Provide him with a gourmet feast he will love, at a price you can hardly believe! Bloomex provides you with a fantastic selection of gift baskets featuring an array of gourmet cheeses, snacks, crackers, and seafood that are sure to make Dad super happy this Father's Day! The perfect "Man's basket!" 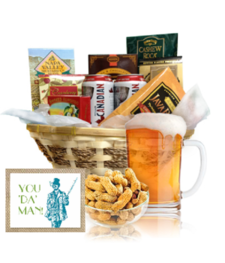 This basket is a perfect assembly of beer, nuts, candy and snacks that is the perfect choice to send Dad this year. 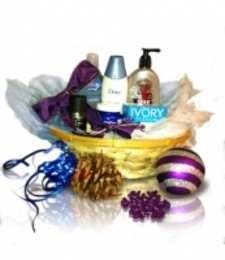 Can't narrow down your choice of gift basket? Go for variety! 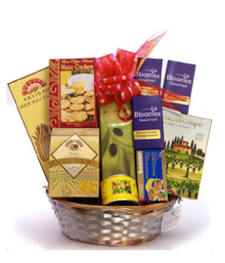 The best value in town, check out all the Bloomex Gourmet Collection gift baskets with a generous assortment of gourmet snacks for Dad. Best of all, these Gourmet baskets are all at half price. Happy Father's Day from Bloomex Canada!